Inline hand pumps are designed to transport gas or fluids from A to B. This basic version comes with two open holes and is designed for customers who already have their connecting check valves in place. Our pumps are made from medical-grade Sarolit™ and are not made with BPA, phthalates or latex. Our pumps are also made in one piece using the rotational molding process so that there are no bonded seams, which could fail during service or foster bacterial buildup. 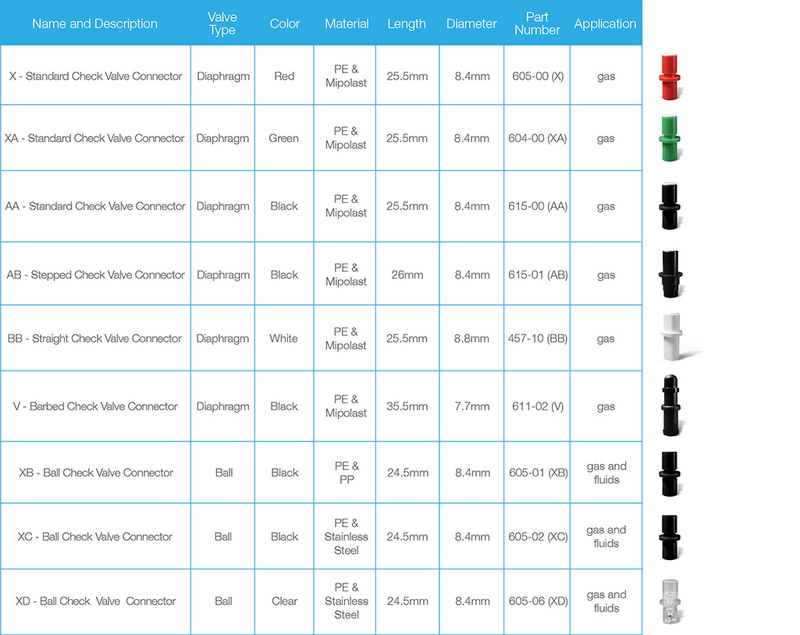 Description: Check valve connectors have male ends to allow connection between hand pumps and tubing or another device. We offer both diaphragm and ball check valves. 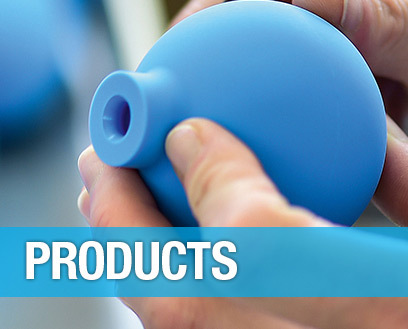 Diaphragm valves use a flexible thermoplastic foil that closes the hole and blocks flow. They offer a long service life, are an economical choice, and open and close quickly. Ball check valves have a movable spherical ball to block the flow. They provide safe service under high-temperature and pressure conditions and are controlled with less force. Description: We offer tubing in a variety of options. The standard length is 30cm, but tubing can be ordered in any customized length. All tubing is made from PVC.